A measure allocating $100 million annually for buying conservation lands is heading for the floor of the Florida Senate. The bill is sponsored by Sen. Rob Bradley (R-Fleming Island). 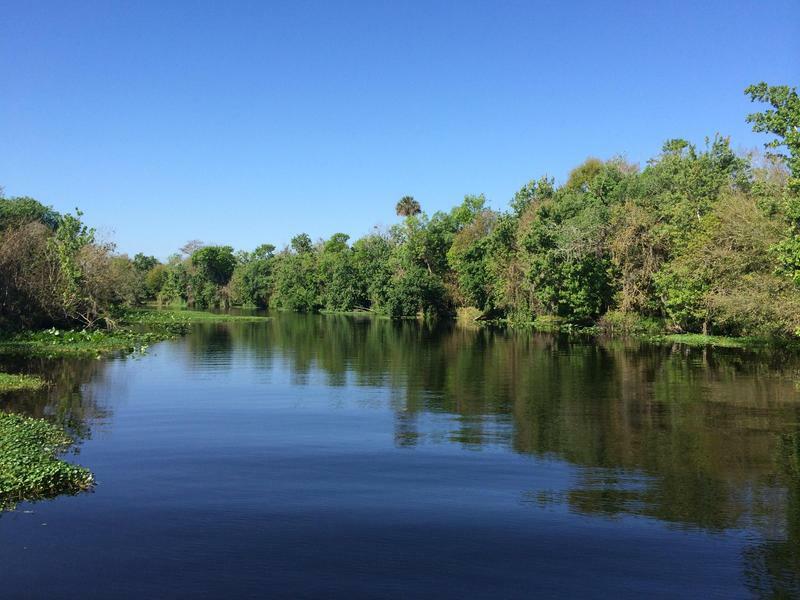 The senator said guaranteeing yearly money for the Florida Forever land-buying program would help protect nature for future generations. “The character of the state certainly is defined not only by the people that live in it, but our beaches, our rivers, our springs and all the wonderful blessings that God has bestowed upon us,” he said during Thursday’s Senate Appropriations Committee meeting. Four years ago, Florida voters passed a constitutional amendment mandating a portion of real-estate tax revenue be used for conservation after years of budget slashing following the 2008 recession. On Thursday, senators on the Appropriations Committee unanimously approved the bill, as well as a Bradley-sponsored amendment prohibiting the money from covering administrative costs at state agencies and departments. Since the conservation-spending amendment passed, environmentalists have sued lawmakers for spending the money on salaries and equipment rather than new land. Groups like Audubon Florida, 1000 Friends of Florida and Florida Conservation Voters all support Bradley’s measure, though most still maintain the state should be spending even more. The House version of Bradley’s measure has not yet been scheduled for any hearings. 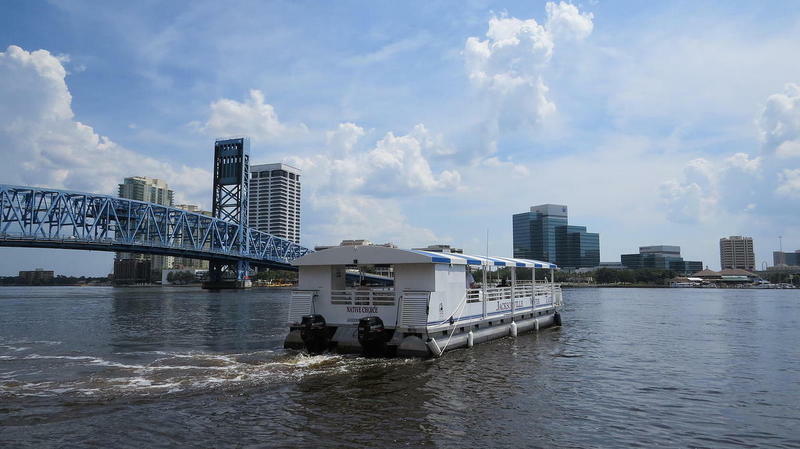 Those groups also support another Bradley-sponsored measure that would earmark at least $75 million annually for cleaning up springs and $50 million for the St. Johns River, its tributaries and the Keystone Lakes region. 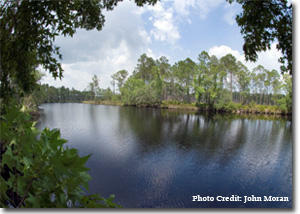 Still, one conservation group wants Bradley to go even further to protect the state’s ecosystem. Brooke Errett with national group Food and Water Watch wants him to help push through a ban on a type of oil or gas drilling called hydraulic fracturing or fracking. 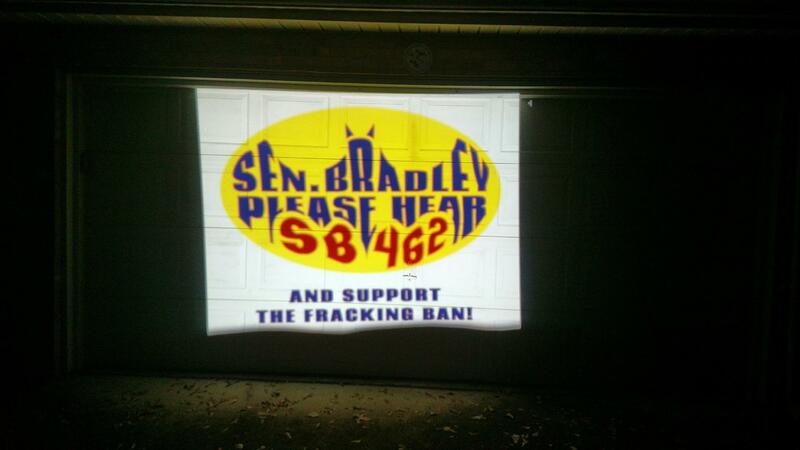 “Since Sen. Bradley has been a strong proponent of water protections under the Florida Forever program, our coalition and other supporters contend that the fracking ban would be an extension of Bradley’s efforts on that cause and that’s why we’re calling on him to be a hero on this issue,” she said. getting his attention Thursday night by projecting a Batman-inspired bat signal with his name on the Orange Park Town Hall. Bradley chairs two committees the bill would have to go through before reaching the floor. The ban is being sponsored in the House and Senate by a pair of Tampa Bay lawmakers. It’s the same ban that failed to make it through the Senate last year, as reported by the Naples Daily News. Bradley voted for it in committee last year. 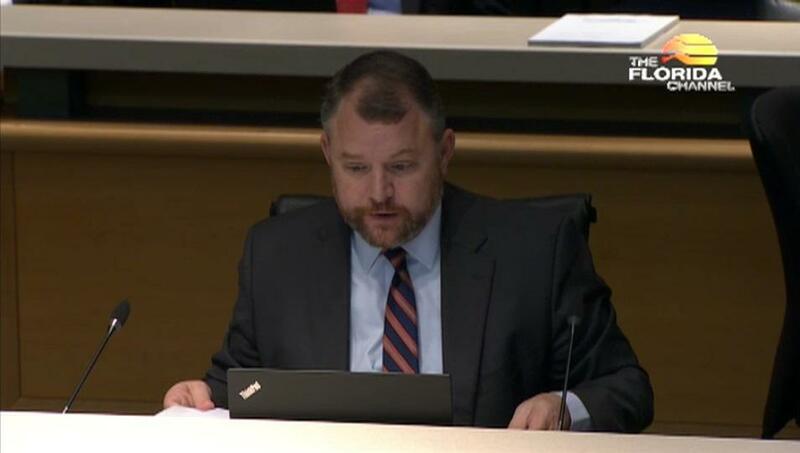 In 2013, Texas-based oil company Dan A. Hughes dropped Florida operations after it was caught using a process similar to fracking close to the Everglades in Collier County, prompting some lawmakers to push for statewide regulations for the practice. An initial fracking ban bill died in 2015. Though both chamber’s versions of the 2018 ban have been assigned to committees, neither bill has been scheduled for a single hearing. Sen. Rob Bradley (R-Fleming Island) is asking the Florida Legislature to appropriate $25 million more dollars for springs restoration next year. Bradley is building on a funding increase from the last legislative session. 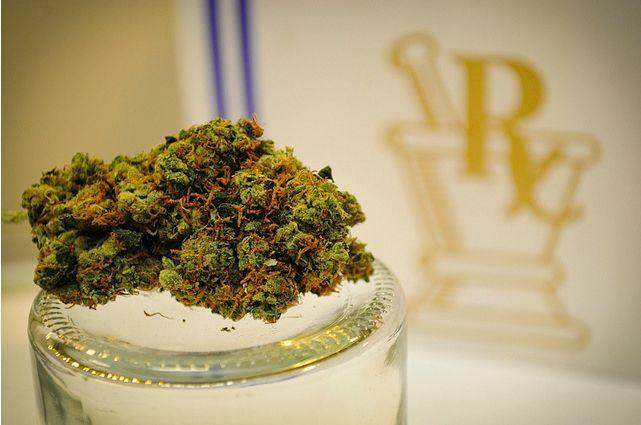 At least six competing plans ranging from the most restrictive to the most permissive expansions of medical marijuana in Florida are working their way through the state Legislature. And the division is wearing down the patience of state residents, who overwhelmingly supported the measure. Environmentalists unhappy with Florida lawmakers are vowing to keep fighting over this year’s lack of funding for land acquisition under the state’s Water and Land Conservation Amendment. The activist group — 1000 Friends of Florida — said Wednesday it plans to make conservation funding a priority in the 2018 legislative session. A key component of the strategy involves mobilizing the citizenry, says the group’s Ryan Smart.